We thought about cutting the cord for several years before we finally did. In retrospect, we wish we’d done it sooner! We’re saving a lot of money, (roughly $2700/year) which I discuss in Part 1 of my Cutting the Cord Series. I began writing a guide to ‘Cutting the Cable‘ while we were going through the process ourselves. One reason was because I couldn’t find good advice for our specific situation which required a rooftop antenna. Another was because it seemed like there was so much misinformation out there. While lots of people are streaming, not that many are actually taking the bigger step of completely cutting the cord. Last of course is because like everything I do, I researched the topic extensively before we actually cut the cord. Right now I know a lot! But that’s guaranteed to change quickly ;-) So, while it’s all still very fresh in my mind I thought I’d better write my beginner’s guide for friends and family…before I can’t remember all the intricate details anymore, or access links to the exact hardware we used. Because my guide is intended primarily for friends and family, it gets down to very minuet details…all of the nuts and bolts of the hardware we used. Also, it’s designed primarily for people who don’t have any technical background at all. For higher level enthusiasts with amazing home theatre environments…my guide probably won’t be adequate to address those kinds of needs. Both our ‘cord cutting process’ and the writing of this guide is taking a much longer than originally anticipated. Mainly because I’m working on too many things I think. The main focus of vsatips has always been on cyber security. Which has been a very hot topic in 2017. I’m writing a lot more to address all of the recent breaches…news of breaches at Equifax and the 2 big Verizon ones during the spring and summer, as well as the additional information coming out now about the huge Yahoo breach back in 2013. Also, there’s a new genre of botnets which is especially threatening…so ‘cord cutting’ ends up getting moved to the back burner a lot. That’s why I wrote this quick Part 1.5 Hardware Costs & Setup overview today. I wrote it specifically for someone who asked me to, and ultimately I decided I should publish it for other people who don’t necessarily need my complete beginner’s guide, and just want to know what we did, how we did it and the hardware we used. If you don’t have Smart TV’s at home then there are 3 key pieces of hardware to get when you ‘Cut the Cable.’ If you do have Smart TV’s more than likely you won’t need any streaming devices, because you can put apps on the TV for the streaming content providers. Also, because I love Rokus so much that recently I joined their affiliate program. I haven’t yet figured out how to use it…but hopefully will soon. If/when I do, the Roku products I recommend, which are also the one’s we personally use, I may also earn a similar ridiculously small commission on their products too…which also has no impact on your price. But it would only be 1 commission…I have to pick which I’d use. Trust me, I’m not going to be making a killing in recommending Roku Remotes, or even Rokus! DVR for recording shows. That’s assuming you want to record things for offline viewing. We did in case our internet isn’t available, plus we’ll save money eventually as we build up our DVR’s recording schedule. This last year, since we began mid-season with most TV shows we paid more for episodes we hadn’t recorded because we hadn’t cut the cable yet. 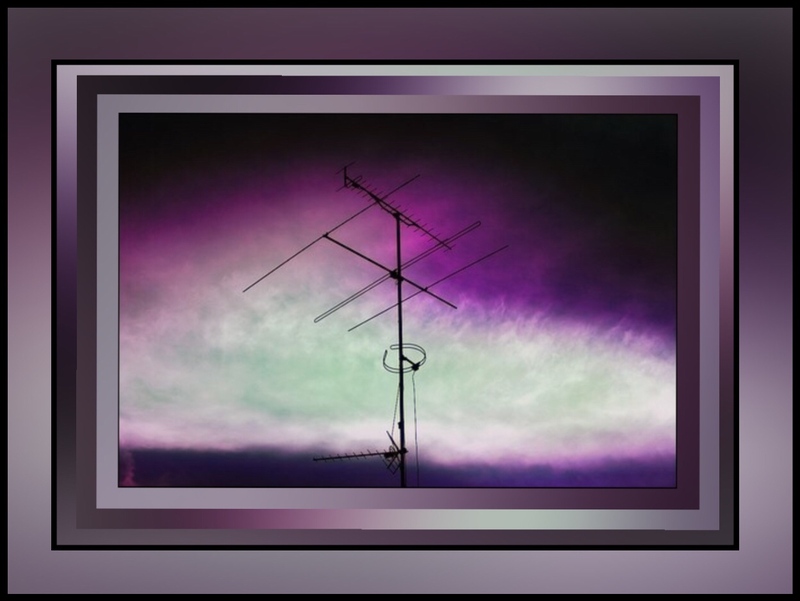 An antenna to receive OTA (over the air TV signals.) Rooftop, attic or indoors…but rooftop is best if possible. Streaming devices if your TV can’t stream things. These devices let you add apps for viewing streaming content. 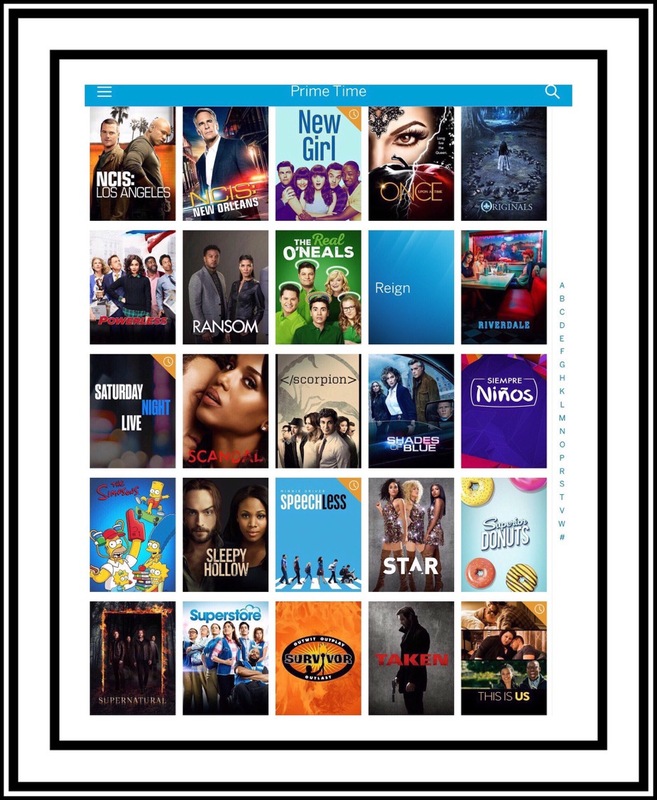 The apps are for the main content providers including Netflix, Amazon, Hulu, HBO, and Showtime. There are plenty of other streaming alternatives too… Sling TV has several plans as does PlayStation Vue and even YouTube is now offering subscription based streaming plans. The ones I mentioned first are the old timers and cover the broadest range. Sling TV is oftentimes the service heavy sports fan like. I had been waiting for a couple of years for some good OTA DVR’s to enter the market. When Tablo did, I watched their progress and read a lot of reviews. As cord cutting is taking off there are quite a few other manufacturers that have come out with OTA DVR’s too, which I talk about in my longer article. But I like what this one and almost every reviewer out there ranks this as the best one for the money. We bought the 4 tuner Tablo DVR because we were replacing 2 whole house DVR’s from our cable provider that each had 2 tuners. Each tuner can record on a separate channel, so we can be recording 4 different shows at once if need be. The shows record directly from the antenna and then are streamed to any TV in our house or even to an app on our iPads or Android devices when we’re traveling. Our antenna is made by DigiTenna. We let the Installer pick it out for us after I spent way too much time trying to figure this part out by myself. The easiest way to do this truly is just call a TV Installer and ask them to get you the best antenna for your circumstances. The DigiTenna brand has ended up being amazing for us! It was $400 installed. The installer included connecting it to our Tablo DVR and to 6-7 TV’s in our house in his price too. 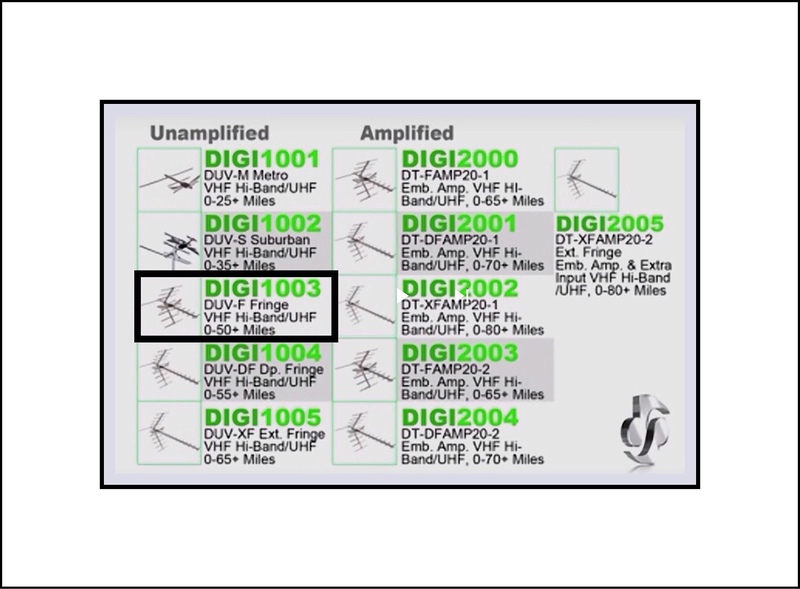 Our antenna is described in this YouTube video by the manufacturer. I preordered our Roku 4 from Amazon for $130 and now the price there is $110. We upgraded one of our 3’s I discuss further down when we got our Samsung 4K TV, for better picture quality because these are made specifically for 4K’s. 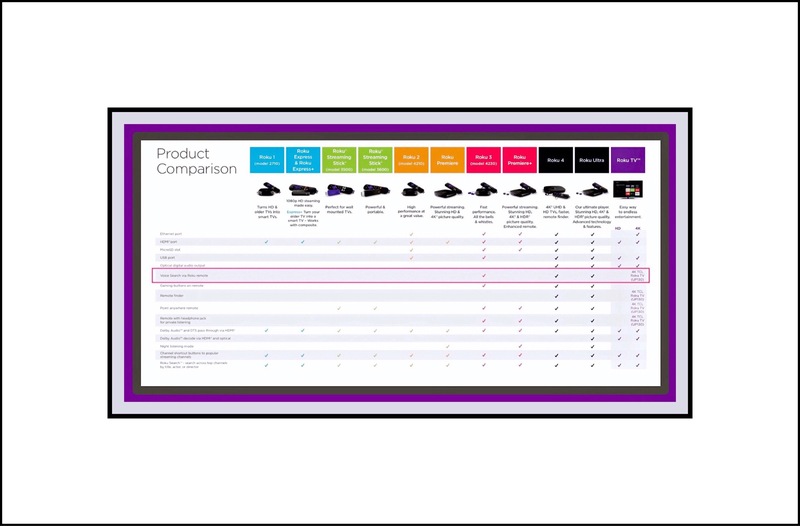 We’ve used Roku’s for years and overall our Roku’s have ranged in price from around $40 to $130 when we bought them. Higher priced models generally give you more features. Voice Search is the best of these imo. We absolutely love Voice Search because it saves us so much time finding which services have a specific TV show. The models which include Voice Search remotes are the Roku 3 and 4 and run from $90 for the 3 to $110 for the 4 on Amazon. All can be operated with a cellphone app which also provides Voice Search too. Some other features on higher priced models maybe an Ethernet port to connect to your network…which may help in resolving buffering problems. An SD card slot to expand internal memory for more channels…etc. When we bought out TV we got it from Best Buy and paid $1700. We first got a different Samsung 55″ 4K TV from Costco that cost a little less and we didn’t love the picture…there was too much reflection glare from lamps. So we returned it and wanted to get this one but Costco was sold out of it so we got it from Best Buy instead because we didn’t want to wait for it to be shipped.When we bought out TV we got it from Best Buy and paid $1700. We first got a different Samsung 55″ 4K TV from Costco that cost a little less and we didn’t love the picture…there was too much reflection glare from lamps. So we returned it and wanted to get this one but Costco was sold out of it so we got it from Best Buy instead because we didn’t want to wait for it to be shipped.When we bought out TV we got it from Best Buy and paid $1700. We first got a different Samsung 55″ 4K TV from Costco that cost a little less and we didn’t love the picture…there was too much reflection glare from lamps. So we returned it and wanted to get this one but Costco was sold out of it so we got it from Best Buy instead because we didn’t want to wait for it to be shipped. We had some problems initially setting up our TV and couldn’t find any YouTube videos to help us, so I made this one about some parts of the setup process. It’s my most viewed video of all time and is creeping up on 23,000 views, which tells me that A LOT of people got this TV. Recently viewers for my video have been slowing down however, and I think it’s because Samsung came out with a newer model of it. Ours is the 2016 flat screen model. Here’s a link to the comparable 2017 model on Amazon which is $1300. On Amazon at least, ours got higher praise and better reviews in general, although in reading the negative ones they pertain to techy things I don’t think would have made a difference for us. We paid $450 from Costco and Amazon currently sells if for $300. After getting the TV we discovered we really needed a soundbar too. Originally we got a Bose soundbar from Costco, but we didn’t love it so we returned that too and got this Samsung one which we do love. For about a year our sound bar was paired beautifully with our TV’s remote, but then something happened to impair them and we have been completely and utterely unsuccessful in getting it pair once again. This is a daily annoyance so please…if anyone knows how to pair a Samsung sound bar with a Samsung TV remote…please leave a comment down below and I’d be for every in your debt! Seagate 4 TB Hard Drive $110 Mine was $117. This isn’t truly a peripheral device because you need to add a hard drive to the Tablo DVR in order for it to record shows. But, you can really get whatever kind of hard drive you want. Since I was getting the Tablo from Amazon, it was convenient for me to just get a hard drive from there too. And so far this one has been great with tons of capacity we’re nowhere near filling up yet. Ours were $89 without Voice Search because I didn’t think we needed or wanted that feature. Later on I discovered how great Voice Search works on Roku’s so I ordered a 2nd remote for a couple of players that included it for an additional $30. I then spent quite a bit of time trying to figure out how to pair a second remote to a Roku, which I finally did and wrote this post about how to do it. It’s been one of my most popular posts. Since Roku has now come out with their line of 4 players the prices of the 3’s have gone way down, but if you don’t have a 4K or UHD TV this player is fine and really all you need because it has Voice Search…the most important feature imo. I purchased several of these from Amazon about a year before we decided to cut the cable to replace some really old Roku’s that just couldn’t keep up with current technology anymore…we had used them for many years. When I bought them originally I did so thru Roku directly but found these refurbished ones on Amazon for a much better price, so I took a chance and got one first. It was perfect and seemed brand new to me. Last year during Amazon Prime Days I decided on a whim to get a Fire TV box because I had heard a lot of good things about it. It was $90 but because I bought it during Prime Days I got a great discount on it and our total price was $59. It is a beautiful player, but we sort of use it more as a backup one because we really love Roku’s and are just so familiar with the UI that they are easy for us. So we haven’t used it all that much. Our TV’s now either play live content via the antenna…with the most amazing picture quality we’ve ever experienced. Or we can stream recorded media from our Tablo which connects to each Roku using our homes WiFi (or Ethernet,) or we just watch streaming content ‘live’ using the Roku’s that are connected to all our TV’s. In the last instance the content is streamed from Amazon, Netflix, Hulu, or HBO Now most often. We switch back and forth between subscribing to Showtime or HBO for about 6 months at a time. We cut the cable in October 2016. Our total costs for hardware and install were ∼ $1400 so we broke even this month. Going forward we’ll save $225 a month. You can read a lot more about our pre-costs here. The biggest surprise for us was much better picture quality on our new 4K TV. We thought it was good using Time Warner’s (now Spectrum) cable…but it’s much better with the antenna. Install guy said because TV content providers like cable & dish reduce the quality by compressing it. I don’t really get that but we’re thrilled with the amazing picture! This is what our Tablo displays for us to pick out something pre-recorded to watch. Planning for our Cord Cutting took much longer than actually doing it! Our planning occurred over about a 2 year time period because we we’re kind of afraid of really ‘Cutting the Cord’ entirely. But the actual ‘Cord Cutting’ itself just took about half a day. My husband cancelled our cable and returned our hardware on his way home from work. I had ordered and figured out how to set up the Tablo and its hard drive as well as had ordered some extra Ethernet, coaxial, and HDMI cables and a few HDMI splitters and I had just received the new Roku 4 too. I did have to read up on the right way to connect the new Roku to our Samsung 4K in order to get the best picture quality…which seemed to take me longer than it should have. I met with the antenna Installer at 3:30 pm and he did the roof install which took a few hours. Then, as darkness approached he came indoors and did all the inside work. It took him a little longer than he’d estimated because we had more TV’s than we thought and he was unfamiliar with the Tablo. He was done around 9:30 pm. To leave me your comments or read other’s please scroll way down at the bottom of the page and look for the tiny comments box! This entry was posted in Cutting the cord, Roku and tagged Amazon Prime Day Deals, Cable TV alternatives, Cord Cutting Hardware, Cord Cutting Strategies, Cost of a Cable TV, Cost savings cutting the cord, Cutting the cord. Bookmark the permalink.